In 1982, Erik Larsen and a couple of his friends published a comic fanzine called Graphic Fantasy. 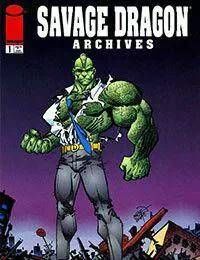 The first and second issues featured Larsen's creation, the Savage Dragon, then called simply the Dragon. Then, as now, the Dragon was a two-fisted hero, one minute sharing a tender moment with his wife and daughter, the next throwing a super-villain through a brick wall. This mini-series reprints those formative stories, giving the current book's legions of readers a second chance to read the Dragon's first adventures.